Low carbon and low emissions technology solutions for commercial shipping are coming to the fore in the industry, with the selection of fuel-saving technologies and the development of alternative fuels vital to the future of a decarbonised global fleet. 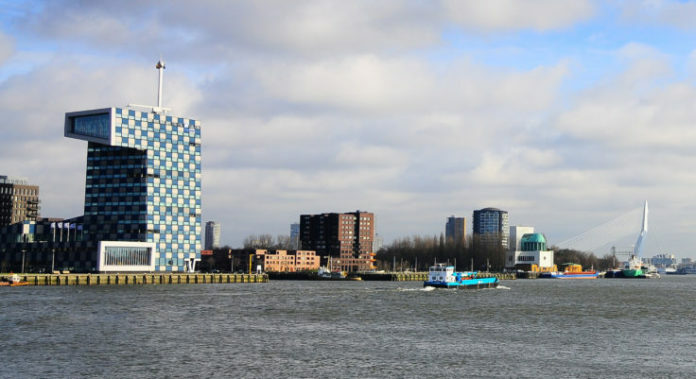 Wind propulsion and other maritime renewables are a key component in that development and next week leading experts, engineers, naval architects and project leaders in this growing field have the opportunity to come together in Rotterdam to exchange knowledge and discuss the key issues facing the sector. The 7th Natural Propulsion Seminar is part of the Blue Week, which is an independent, dedicated and free event where industry, academics and institutions can come together to discuss the latest running R&D initiatives, regulations and projects relating to sustainable energy from, and on, the sea. Also it is a platform to propose new projects. The event is comprised of progress meetings within running projects (only accessible to project members) and seminars where results and proposals are discussed publicly. The event this year is hosted by the city of Rotterdam in collaboration with STC Group. It is organised by the Maritime Research Institute Netherlands (MARIN) in association with other partners, including the International Windship Association (IWSA). Since the start in 2012 the Blueweek event has found its place in facilitating the initiation and running of projects that contribute to a more sustainable use of the sea. The Natural Propulsion Seminar continues to be a highlight in the ship design, marine engineering and maritime renewable energy calendar. Gavin Allwright, Secretary General of IWSA, is chairing the Natural Propulsion Seminar on May 30th which focuses on commercial wind propulsion and other natural propulsion solutions. There will be project progress updates from across Europe, the United States and Canada including; the installation of the latest Norsepower rotor sail on board Viking Grace, an introduction of innovative large sail technology for cruise vessels from STX France, hard sail developments from Wind+Wing, a net zero sail propulsion system for tankers from TankerProa, the Tig Rig retrofit sail system and the development of the Ventifoil from eConowind. These project updates will be complemented by research papers on sustainability and wind assistance in shipping from TU Delft and systematic variation of wind assisted ship designs by MARIN. There will also be a focus on wider issues with the BICEPS Network tackling shippers demand for sustainable ocean shipping, the World Wind Energy Association talking about the development of the global wind power industry, as inspiration for wind assistance on ships and CMB answering the questions around hydrogen’s potential to be used widely as a marine fuel. Following the Natural Propulsion Seminar there will be the Natural Solutions Seminar, which focuses on maritime innovations based on nature. Finally, on Wednesday April 12th additional seminars are scheduled to discuss harvesting renewable energy at sea and the dual use of the sea. 7th Natural Propulsion Seminar on May 30th to be held as part of Blue Week, Den Helder, Netherlands. Registration is free of charge, however space is limited.